Every year communities in Whigham and Claxton, GA, host their annual Rattlesnake Roundups. 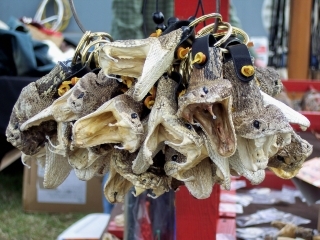 Although we understand that these small towns depend on the revenue generated at these events, we are convinced that the towns could change the events to Rattlesnake Festivals where the species is celebrated for its value to our ecosystem, as opposed to being eradicated. These events have been criticized widely, primarily due to animal cruelty and ecological impact. Though these events sometimes claim to generate valuable data, no scientific articles have been published from them. 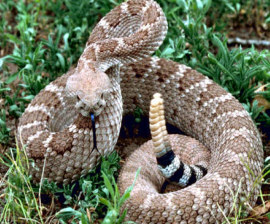 Rattlesnakes are relatively slow to mature, have only modest litters, and are already adversely affected by habitat destruction and persecution. These events remove thousands of animals, including large numbers of reproductively mature animals. Since rattlesnakes are an apex predator, a sudden decline in their population could have ecological consequences, particularly for the rodents on which they typically feed. About 60 years ago, someone figured out that by pumping a little gasoline vapor into gopher tortoise burrows you could drive out the inhabitants and roundup a ton of rattlesnakes. Twenty-three towns in Florida, Georgia and Alabama created rattlesnake roundups as a way for farmers and ranchers to rid their land of the reptiles and make a little money. Prizes are awarded for the most snakes and the heaviest snakes. Only three roundups persist in the 21st century: Opp, Alabama, and Whigham and Claxton, Georgia. A few years ago, Lori Varn attended the Whigham Roundup with her children. “They had a fenced ring, just like a rodeo, and big tanks filled with hundreds of rattlesnakes. Men pulled snakes out and walked around with them. They tore the rattles off live snakes and gave them to some of the children. My son thought this was so cool,” she said. Back home, Varn’s son, toting his BB-gun, went exploring in the woods. An eastern diamondback rattlesnake was sunning itself next to a log. It coiled up and rattled. Instead of heeding the snake’s warning, he shot it and marched home with the dead snake around his neck. Yes, the boy was lucky. But no one would feel sorry for the snake. There are gazillions of them; it might have struck him; and the only good snake is a dead snake. Right? Not really. The eastern diamondback rattlesnake (EDR) is not a vicious creature. Ecologist D. Bruce Means, Ph. D., director of the Coastal Plains Institute and Land Conservancy, calls it the Gentle Ben of venomous snakes. If an animal is not small enough for it to swallow whole, the snake will rely on its camouflaged body to blend in or slither away. According to Means, the EDR used to range widely over the Southeast, but because of habitat loss and roundups, their numbers have plummeted. Today, snake hunters must drive hundreds of miles to find rattlers. The snakes they capture are thrown into overcrowded barrels and stockpiled – hungry, dehydrated, sick from the gas and many suffocating beneath their chums – until the winter roundups. Gassing makes the burrow uninhabitable for years and permanently impairs the snakes and other species that peacefully cohabitate with them, including gopher tortoises and indigo snakes, both threatened species in Florida, Georgia and Alabama. John Jensen, senior wildlife biologist with the Georgia Department of Natural Resources, says that gassing is illegal. “However, it’s still their primary method. Snake hunters couldn’t get the numbers any other way. A fairly substantial skin trade market drives the roundups,” says Jensen, who is vehemently against them. 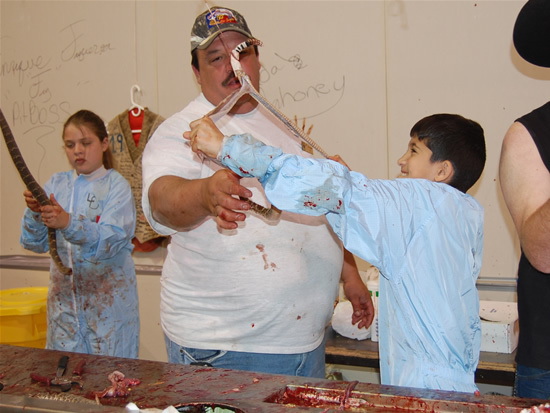 Venom extractions are heavily promoted in an effort to legitimize the roundups. Snake handlers “milk” the venom, which, purportedly, is sold for medical purposes. Carl M. Barden is director of the Medtoxin Venom Laboratory in DeLand, Florida, which sells snake venom to six biopharmaceutical companies in the United States. 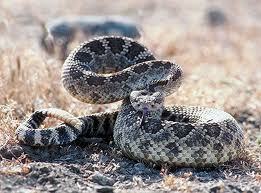 One of the companies that buys Medtoxin’s venom is BTG, the largest producer of rattlesnake anti-venom. Roundup promoters in Georgia, sensitive to potential bad press, stress the “educational and scientific value” of the roundups and money raised for non-profit groups. Clearly, venom collected at roundups has little or no scientific value. How about education? One of the most harmful consequences of these roundups is that children get the message that wildlife is there for humans to use and abuse as they see fit. This tradition has outlived its original purpose and needs to end, or at least change. One roundup, held on the third Saturday in October in San Antonio Florida, has evolved into a Rattlesnake and Gopher Festival. Education presentations feature snakes that are not abused or harassed, the crowd is enthralled and children go home with a new appreciation and respect for vipers. The event draws 30,000 visitors and raises thousands of dollars for local non-profits. Chet Powell, former manager of Reed Bingham State Park in Adel, Georgia, hopes to someday coordinate a Rattlesnake Festival to draw people away from the roundup relics. Contact him if you are interested in participating or sponsoring this event. 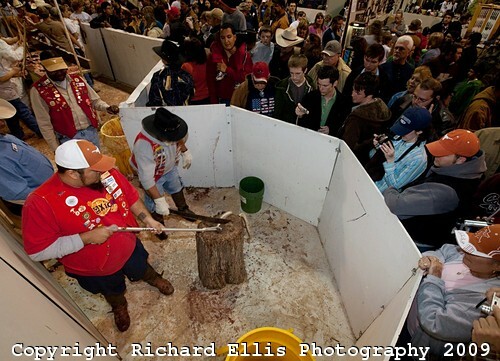 The Whigham Rattlesnake Roundup is held the last Saturday in January. The Claxton and Opp roundups are held in March. If we don’t attend, organizers will get the message that it’s time to support another type of event that encourages conservation and preservation, rather than the wholesale slaughter of wildlife and the destruction of their habitats. Sandy Beck is a nature writer, environmental educator and director of The Wild Classroom in Tallahassee, Florida, www.wildclassroom.net. You can show your support by contacting the organizers of these events (Whigham Chamber of Commerce and the Claxton and Evan’s County Wildlife Club) and tell them your opinion, or by visiting our Petitions Page and signing the petition we have posted. Thanks for caring and for showing your support.